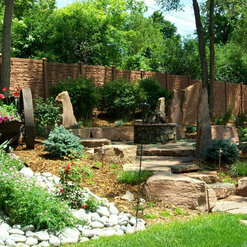 3 Projects for Innovation Fencing Inc.
Ben, James and the entire crew did a wonderful job with my large backyard project. 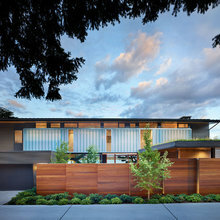 They were very respectful of all 5 neighbours and worked hard to get the job done on time and on budget. Ben communicated any issues right away and any minor glitches (as with any project) were handled right away. 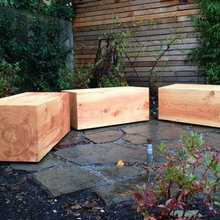 I would highly recommend them to anyone looking to have a good, sturdy hand-built cedar fence installed. 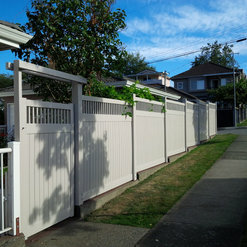 I engaged Innovation Fencing to price and supply the Trex Composite Seclusions Fence. The Innovation Fencing team were excellent and very knowledgeable on the product. They provided a detailed fence drawing with exact measurements. The product arrived on time as indicated in the contract and the inventory was complete to the order list. I installed the fence myself and the Innovation Fence team were extremely helpful in providing hints and tips associated with installation. 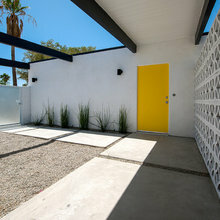 The fence design was the most efficient and simple fence I had ever installed. I would highly recommend Innovation Fencing to anyone in the future. 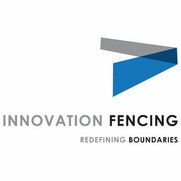 Innovation Fencing team were an excellent, helpful and knowledgeable to work with. Great Job. 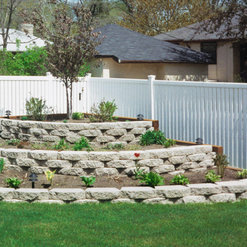 I hired Innovation to replacing all the cedar fence with SimTek simulated stone panel fencing for my house. They were well organized and completed the $13K job within two days with excellent workmanship. 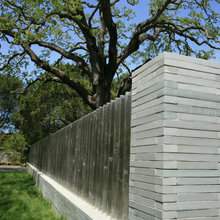 Every fence post received substantial concrete footing and installed truly straight. After the job, over dozens of people from my neighborhood were impressed with the installation and inquired about Innovation service. I will not hesitate to use and recommend Innovation again. 7 Ideabooks for Innovation Fencing Inc.